GENDER equality remains an elusive dream for Papua New Guinea. Despite its noble intentions, some pertinent government policies and programmes are far from being totally women-friendly. Where the country has succeeded in achieving some degree of equality among the sexes, the outcome and benefits have been outstanding personal accomplishment and positive contributions to families, corporations and the country at large. It is a proven fact that gender equality in all areas of nation-building is certain to bring out the best of every citizen, both men and women. Indeed, our dreams of a fair and smart nation would come true if gender equality is achieved. 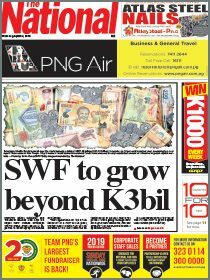 Papua New Guinea Vision 2050, in more ways than one, depends largely on achieving such equality and it can be sure to make great strides in economic growth and improve our social standing indicators. Critics may argue that Papua New Guinean women are better than their sisters in similar situations in other parts of the world but much work remains to be done. One has only to sit in some of our women’s forums to appreciate the challenges that they face. A few of those challenges, such as the ones facing local businesses, are common among women as well as men. In countries where women have been given all possible opportunities to stand shoulder to shoulder with men, there have been great strides in social and economic advancement. Western countries, including the United States of America, have been spearheading the campaign for gender equality and have focused their attention on developing countries such as PNG. Last year, the US embassy in Port Moresby co-hosted the PNG Women’s Forum during which a number of important matters affecting women in general and specific aspirations have been discussed. Among the topics of discussion, the forum was told of some outstanding government commitments as well as omissions or oversights in the formulation of legal and policy framework for the advancement of the womenfolk. The proposed Small Medium Enterprise (SME) policy received some criticism because it did not adequately address women entrepreneurs’ issues. The Government’s SME policy was launched recently and it is envisaged some of these niggling issues have been addressed. Interestingly, an official from the Consultative Implementation and Monitoring Committee says gender equality is marginalising women in the country. She says there is no coordinated effort specifically for women, with central agencies of government doing their own thing and there is little or no budgetary support. If the Government is serious about addressing gender equality and gender-based violence, it should provide support in terms of allocating funds in the annual budgets and provide capacity and incentives for them, the official says. Meanwhile, our universities and other tertiary institutions continue to penalise female students for pregnancies. Female students at the University of Natural Resources and Environment (UNRE) in East New Britain female students have been bluntly told that the institution will not entertain pregnancies. The university administration urged all female students to be extra careful and to make use of the counseling service available at the student support service or clinic. The female students have been advised to stay away from negative influences and remain focused on their studies. The university administration is echoing an age-old policy of most academic institutions in the country, which unfairly disadvantages female students who fall pregnant by their male friends who are able to complete their studies without any disruption. Many young women in our university’s and tertiary institutions have suffered the indignity of being expelled from their studies because of pregnancies. And where these institutions takes a hard stand against students falling pregnant are given very little opportunity to continue and complete their studies, such policies need to be revisited or made fairer on both parties involved. Gender equality should not only be preached in institutions of higher learning but practiced so that future husbands, colleagues, bosses or subordinates of women are made to learn to respect appreciate women as equals. 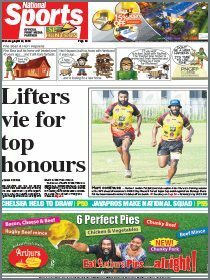 A level playing field must the bottom line for gender equality in PNG.